"For a lot of you, Spring seems like a faraway dream at the moment. With all the wintry weather out there, I thought you might enjoy a free pattern–something to boost your spirits and lighten the mood. 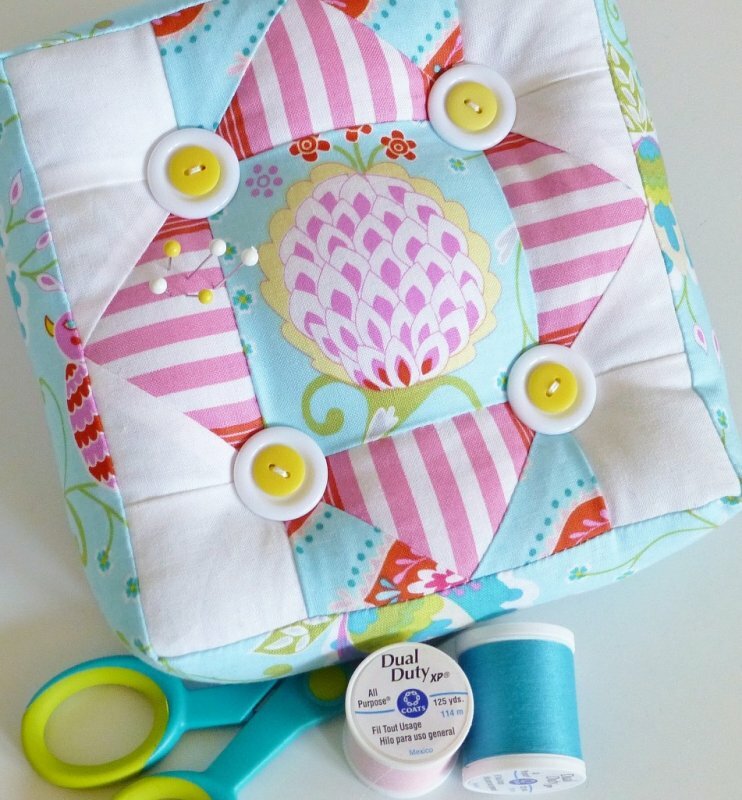 I’ve put together a digital pattern for you which includes the instructions for the 6 1/2″ block (which yields a 12 1/2″ square when you join four of them together, for those of you whose brains are not yet thawed) as well as the yardage requirements and cutting instructions for a lap sized quilt."